Curve for Men has a spicy, woody, magnetic scent you can wear every day. A masculine blend of woody notes and other exhilarating scents, Curve is ideal for the active man who likes to take risks and celebrate all of life's possibilities. 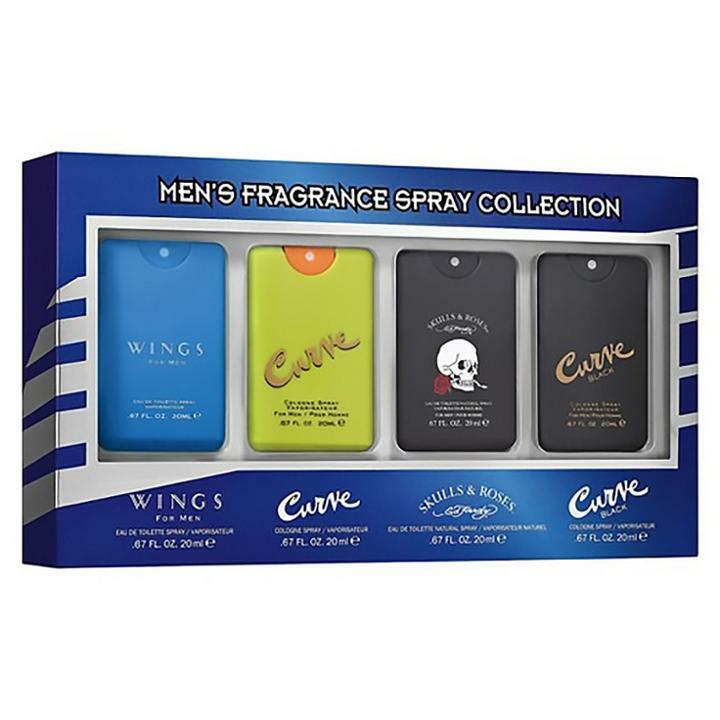 Experience a refreshing scent with Curve Sport for men. An intensely masculine scent, Curve Black is for the man who is note afraid to live on the edge, and is never apologetic. Designed for those who crave adventure, seduction, and the risk that comes with the chase. Inspired by Ed Hardy's skulls and roses tattoo design, Ed Hardy Skulls and Roses, lets you express yourself with a strong, confident scent. This fragrance is dashing and daring. Wings for men provides a warm, inviting fragrance that boosts the sensuality of the exquisite scent. Gender: Male. Elizabeth Arden 5th Avenue Eau De Parfum, 1.0 Oz. Elizabeth Arden Pretty Eau De Parfum Spray, 3.3 Oz. Elizabeth Arden My Fifth Avenue Fragrance, 3.3-oz.